Why do bees build their wax cells as hexagons? Why bees build in hexagons, well, at least part of the possible reason. The Council has committed to prohibit the use of bee-harming pesticides on its land, where it can. New research from scientists at Plymouth University shows bumble bees are ending up feeding on flowers by the road side of hedges rather than on the field-side of the boundary. That’s because fertilisers used on crops also encourage more grasses and non-flowering plants, so bees have little to feed on. To listen, click HERE and go to 05:59 into the programme. Donate to defend SumOfUs from legal attacks | SumOfUs. SomeOfUs.org, a campaigning organisation that gives voice to the views of ordinary people – or rather, given the current environment, ordinary VOTERS – is under attack. Having threatened to sue countries for their opposition to the use of neonicotinoids, big business has turned its attention to this lobby group. Now, I’m not asking you to spend money on them – I don’t agree with many of their campaigns – but most of us would support a position that places bees and other pollinating insects above the demands of agrichemical companies and their shareholders. That doesn’t mean they don’t have a right to make money, but this needs to be an open and honest debate, unlike the one that has been going on in the UK – and other places around the world – for years. I’m not sure if I will donate to the campaign, but I will be contacting my MP again, drawing their attention to this situation as well as the ongoing problems bees face. I will also approach the other candidates standing in my constituency to determine their views on this matter. During the last general election, I was unable to vote for my party of choice as the only three standing were the main parties. However, if I face that situation again, perhaps I will have something to separate these parties on for this campaign. Writing to your MP couldn’t be simpler. You don’t need pen and paper – you don’t even ned to know who they are. Just go to https://www.writetothem.com/, enter your postcode and email them your thoughts. All you then have to do is click a link on a message the system send syou to confirm you are not a bot and they will send it to your MP. Job done. Seven Kings honey. Not actually from kings, but it certainly is fit for kings. Have you checked how much you have left in the cupboard? Spring is here and I know all of you who complain of different allergies swear by taking honey from before the season really starts. Well, I’ve just bottled a load of honey and will be bottling more as it is already going fast. I have my usual Seven Kings honey – which always goes very fast – which is £7 for a 454g/1lb jar. I also have some excellent multifloral Essex honey from a friend of mine who keeps bees near Epping. This honey is very much like own. 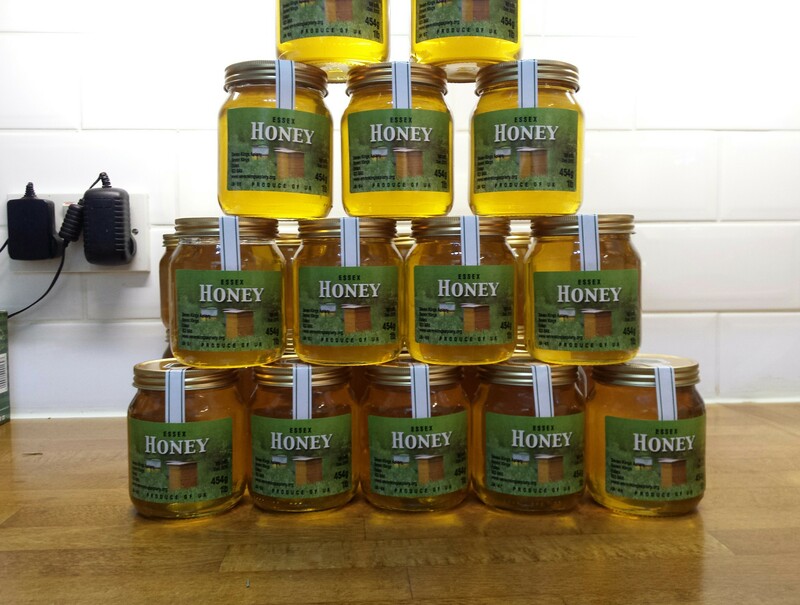 It’s a multifloral honey – that just means it’s made up of the nectars of many different types of flowers, as my own Seven Kings one is – and is available in 454g/1lb jars for just £6 each. 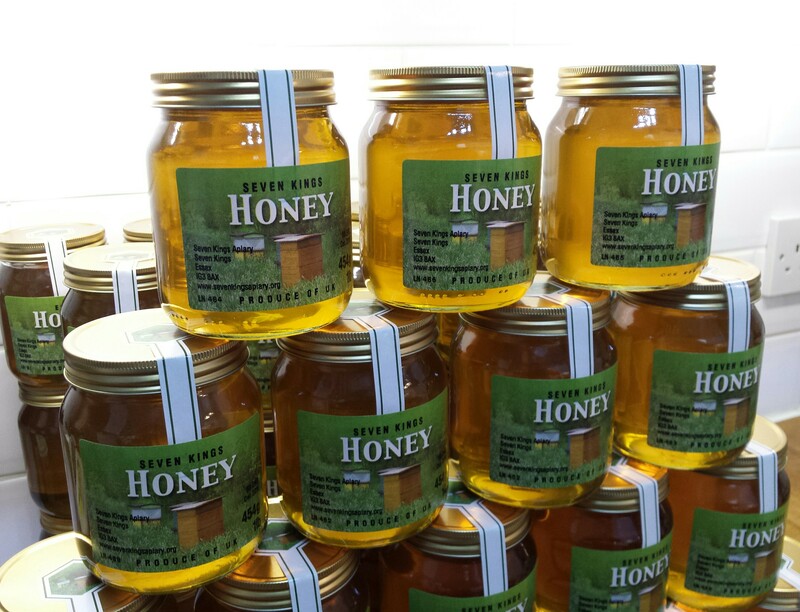 It is the same quality as the Seven Kings honey from a very similar area, but some people want Seven Kings only, whereas others just want good quality raw local honey. A Lab Is Trying to Keep China From Dodging U.S. Tariffs on Honey – NYTimes.com.